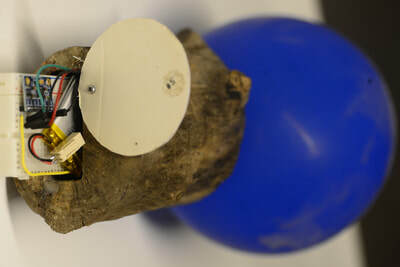 Celebrations is the titel of a sculptural-sound installation, which celebrates communication over an "eskimo-kiss" between tiny magnetic wooden sculptures called "Baloonies" based on Paydar's last analog Sculptural installation in urban places named phantom limbs, mixed with Fukuda's digital sound compositions and programing sensors, an interactive game was created. 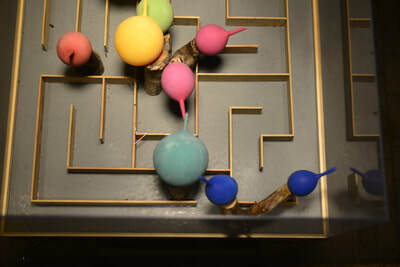 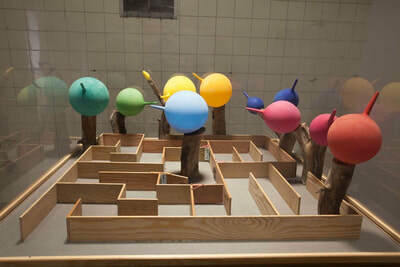 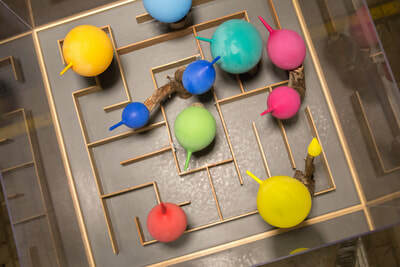 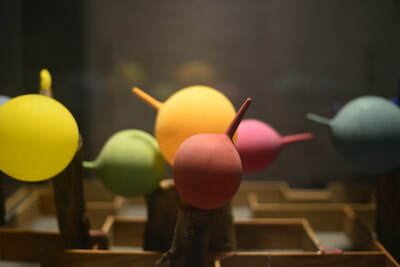 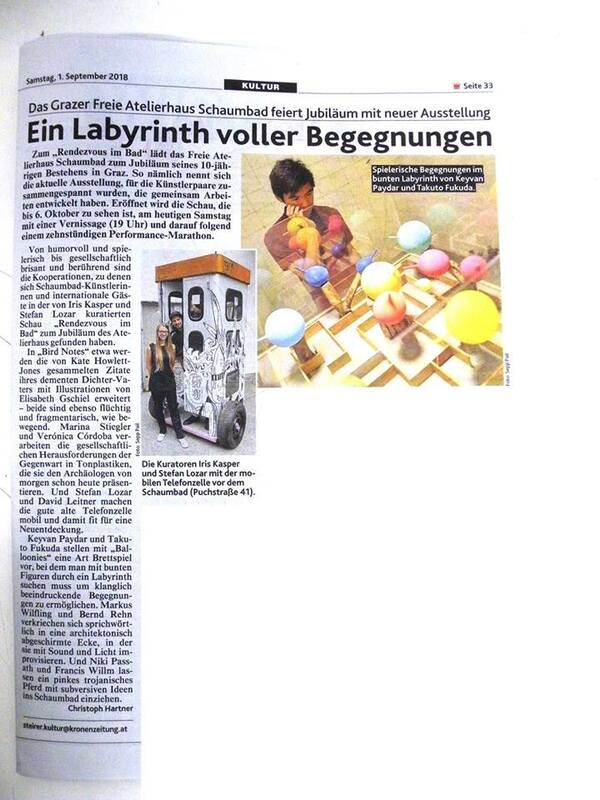 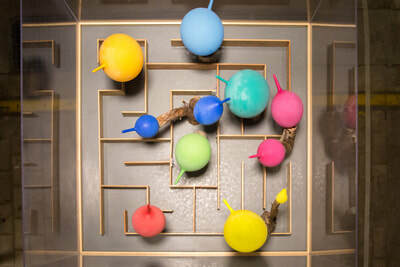 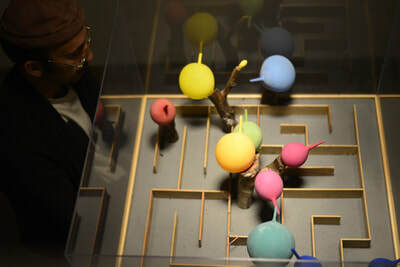 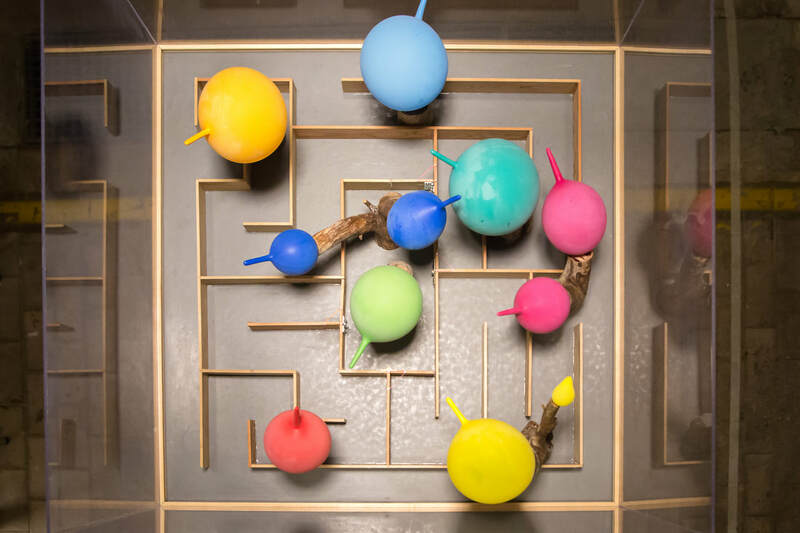 Visitors are invited to move these objects in order to find a free space in the middle of the central square on the maze-board, and play it again. 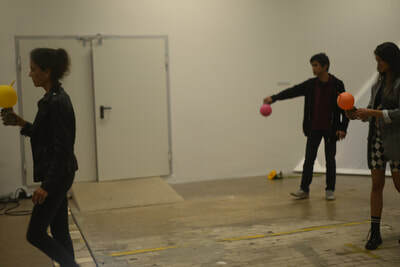 On the day of the opening also an interactive performance happened in the big hall based on the other small installation. 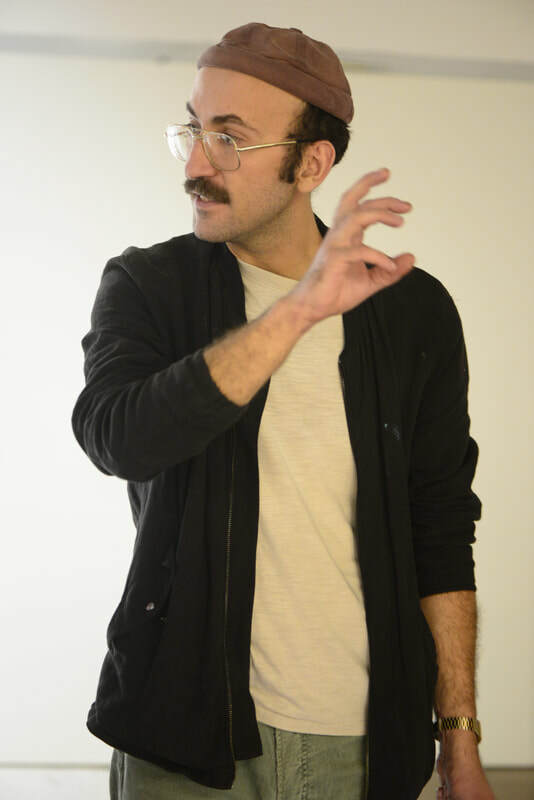 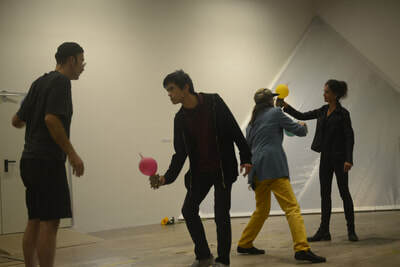 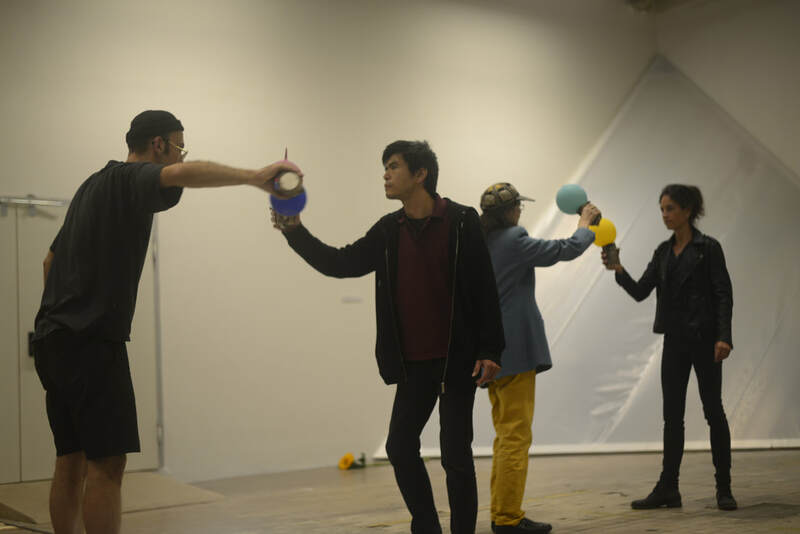 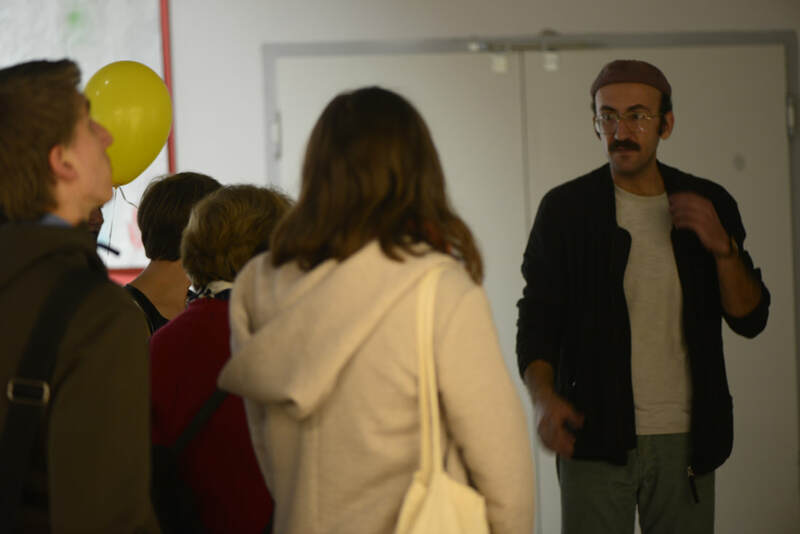 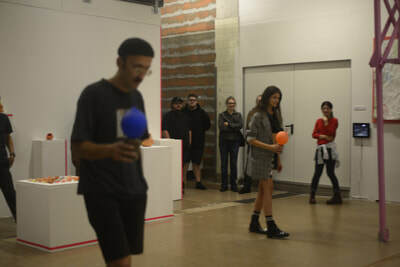 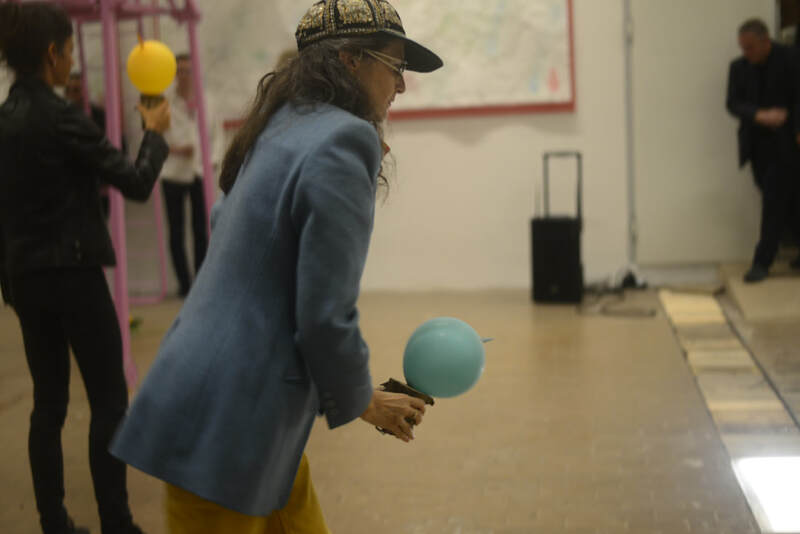 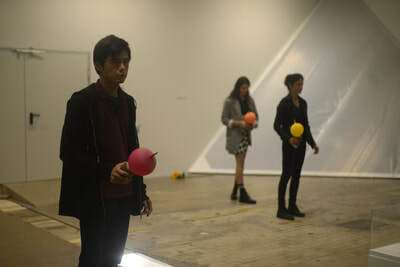 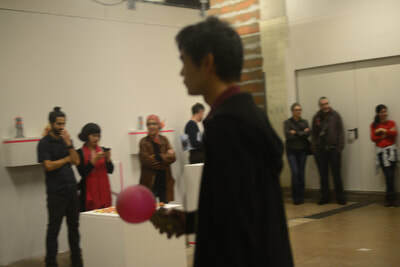 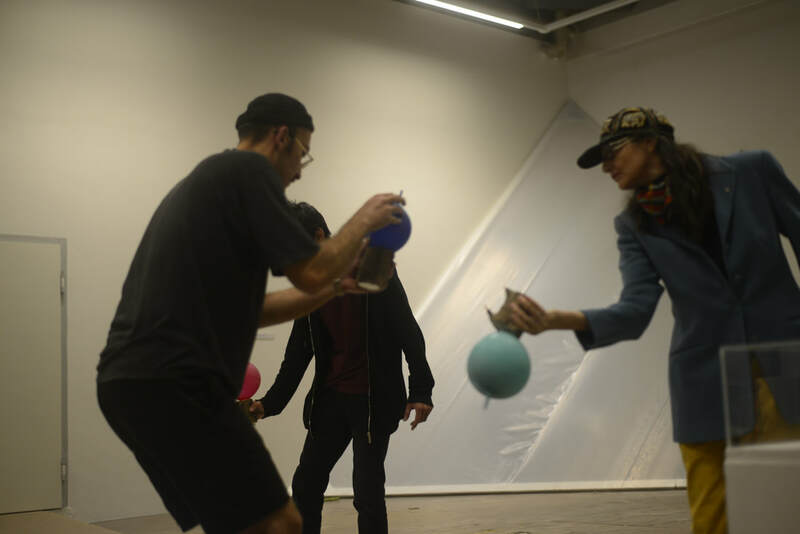 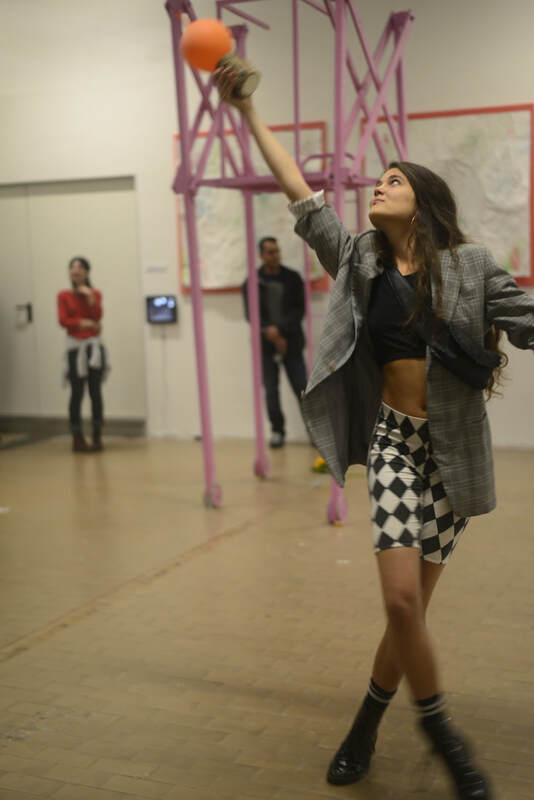 in witch participators conjure up a symphony of baloonies' songs. 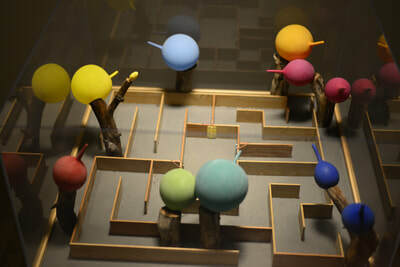 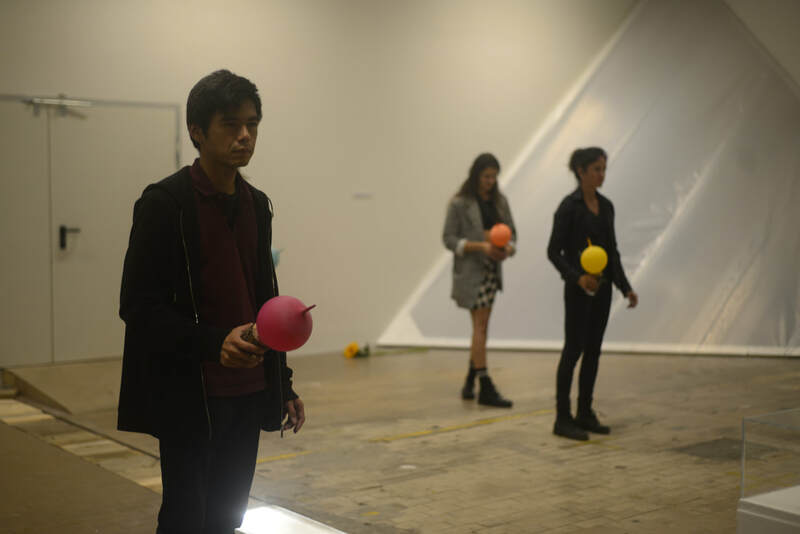 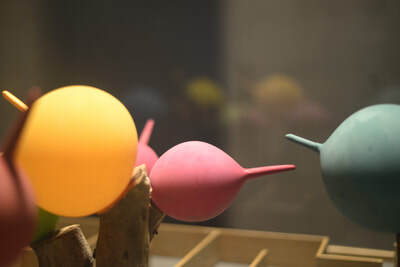 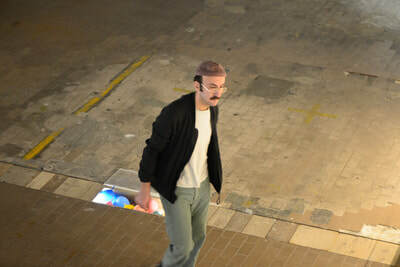 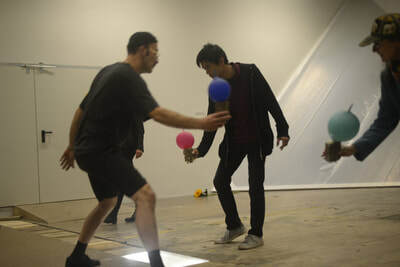 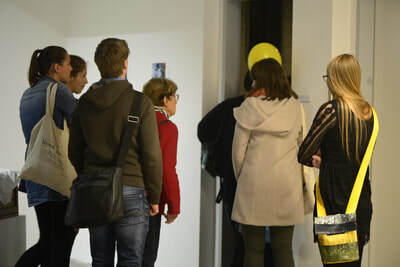 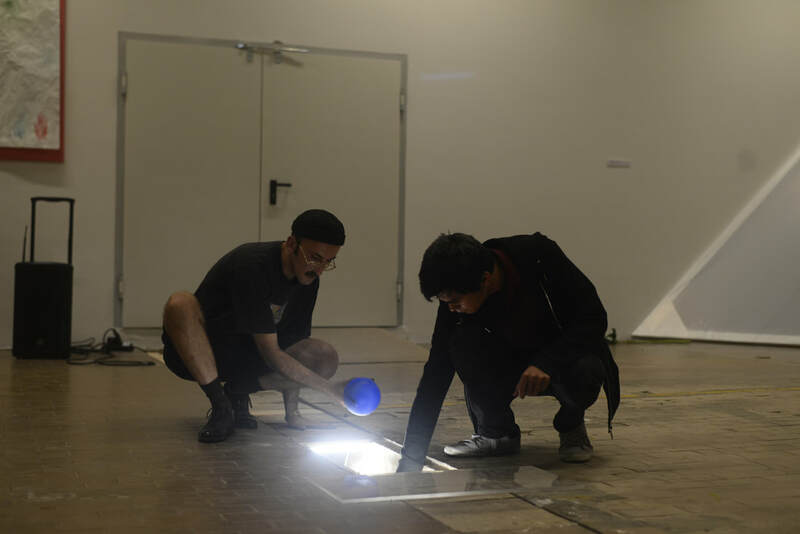 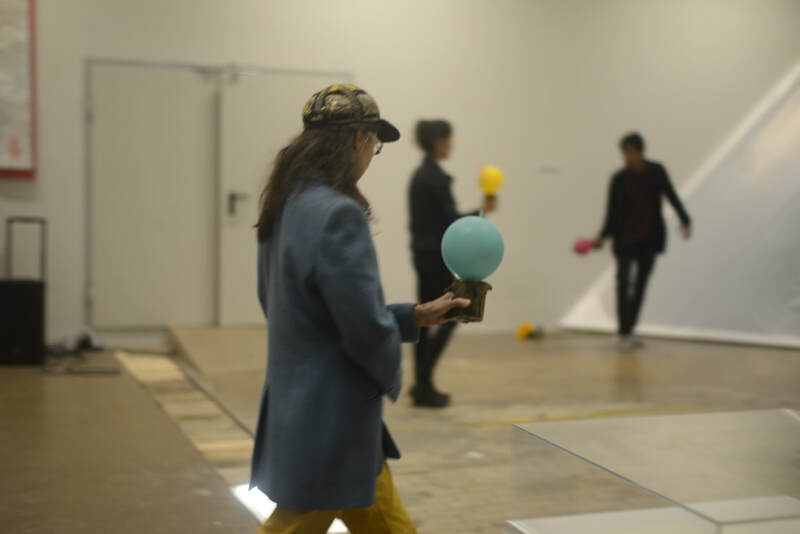 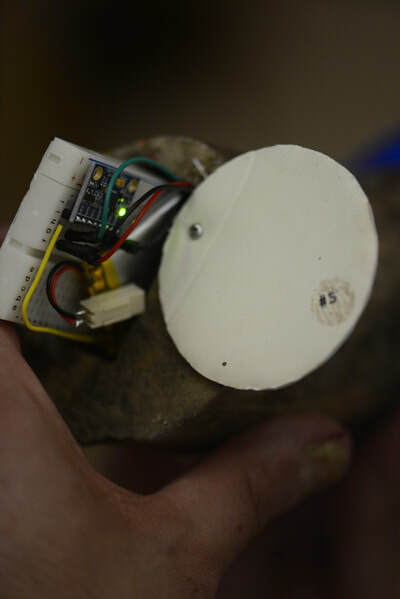 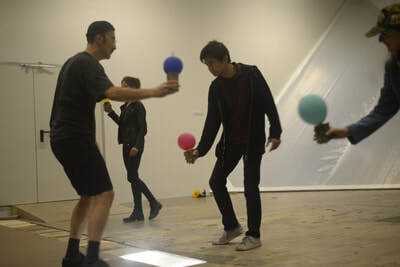 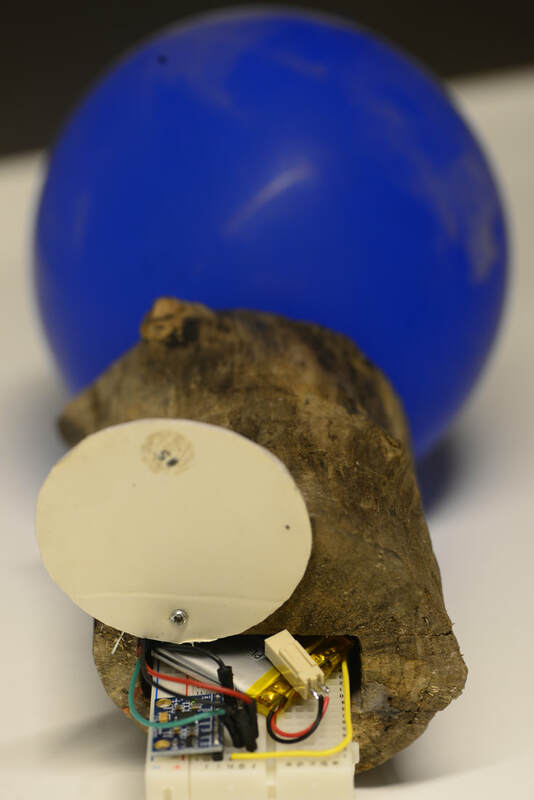 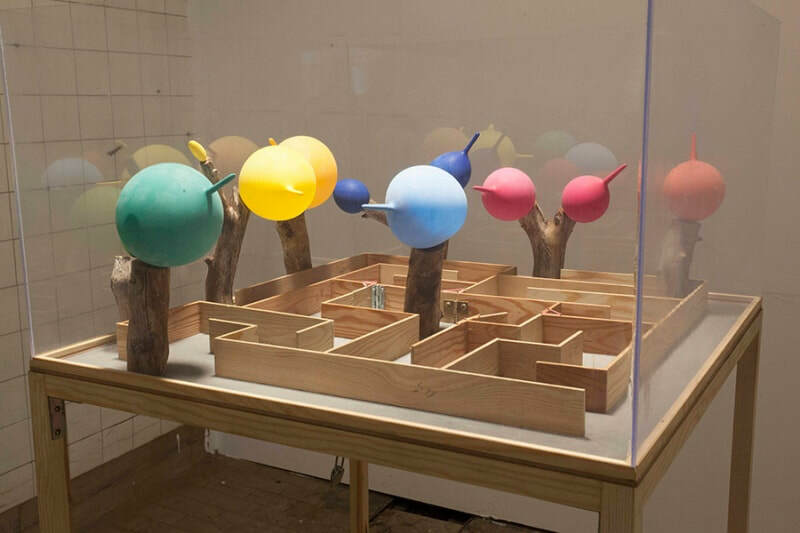 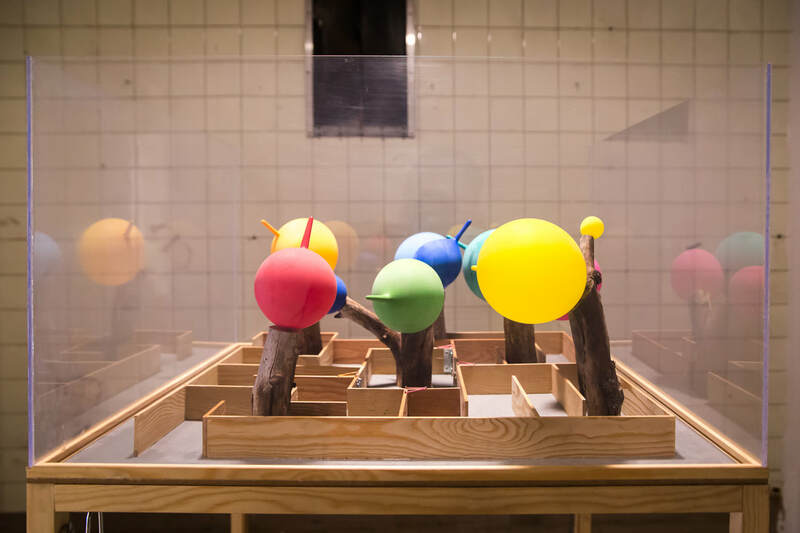 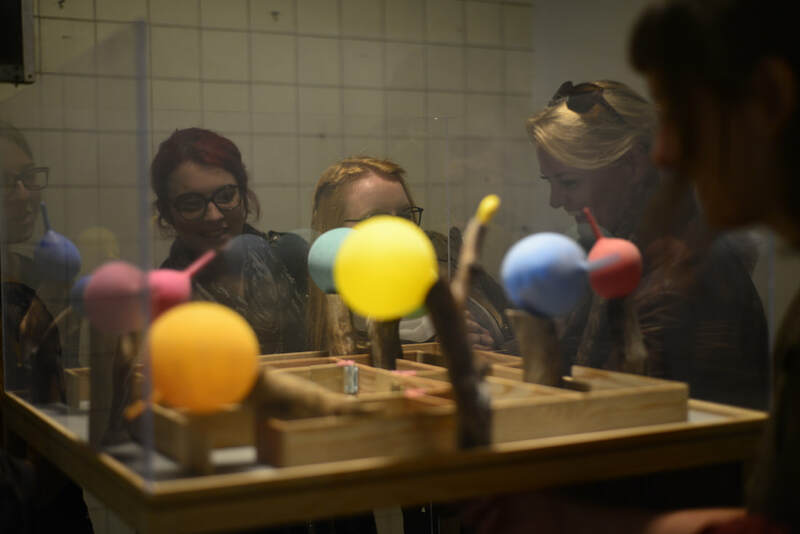 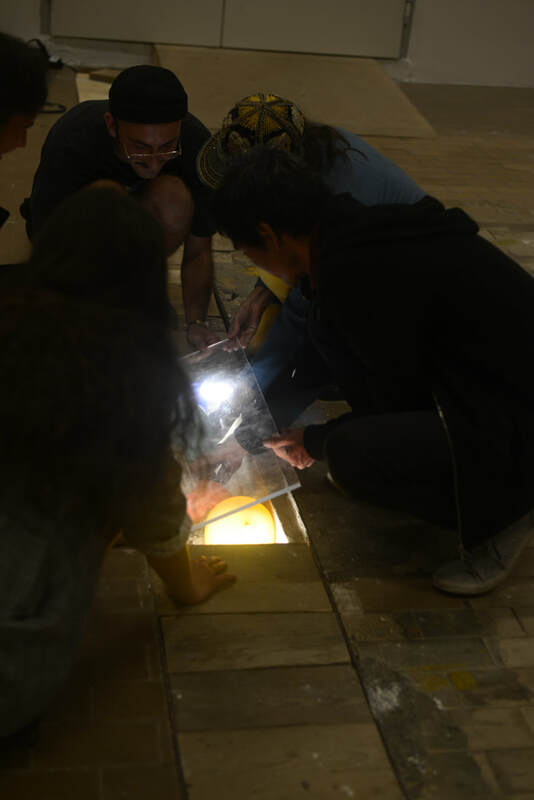 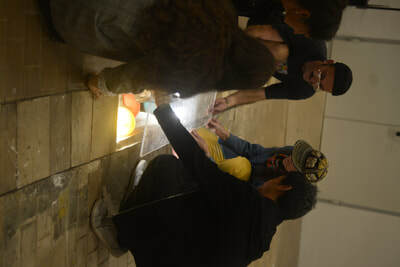 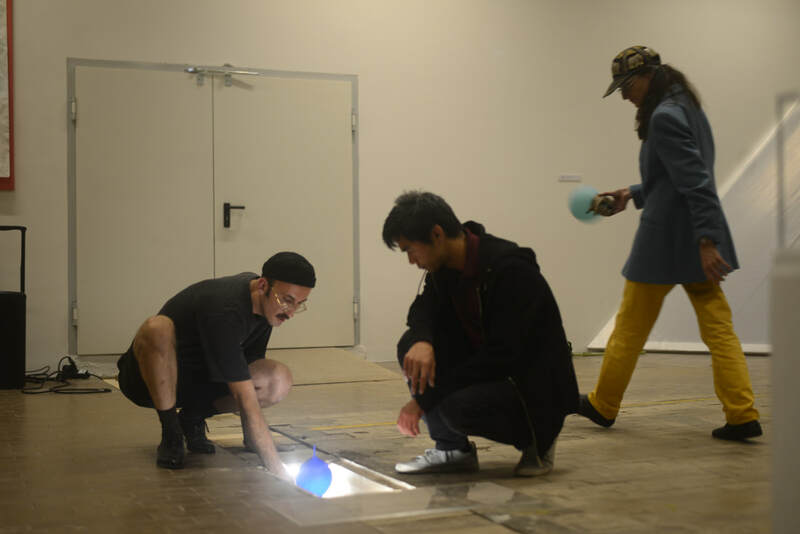 Visitors are solicited to shake and rotate the objects in order to produce a sonic gesture while walking into an invisible very personal maze. 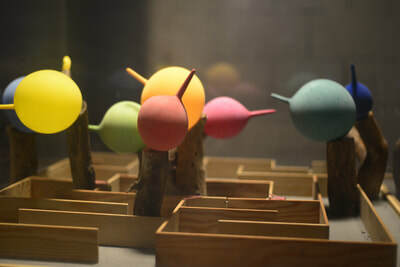 Using this as a musical snippet, a computer system generates a sequence of music unfolding over time. 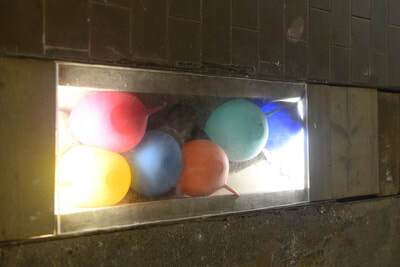 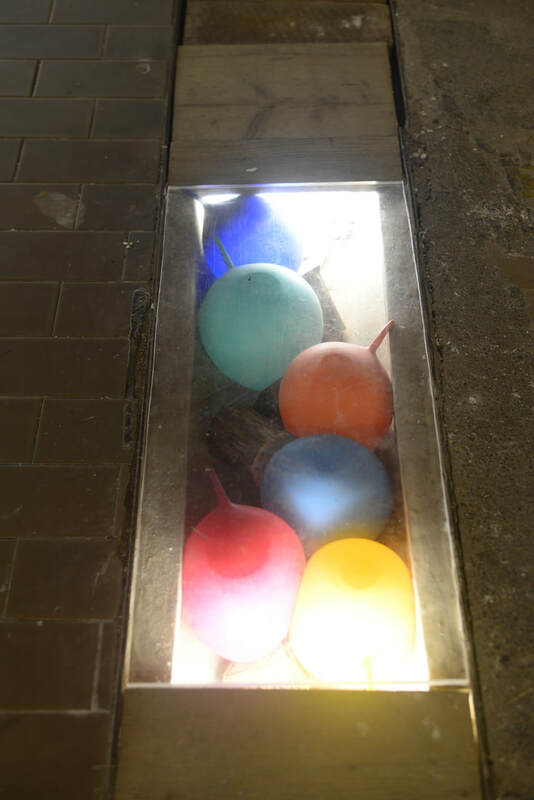 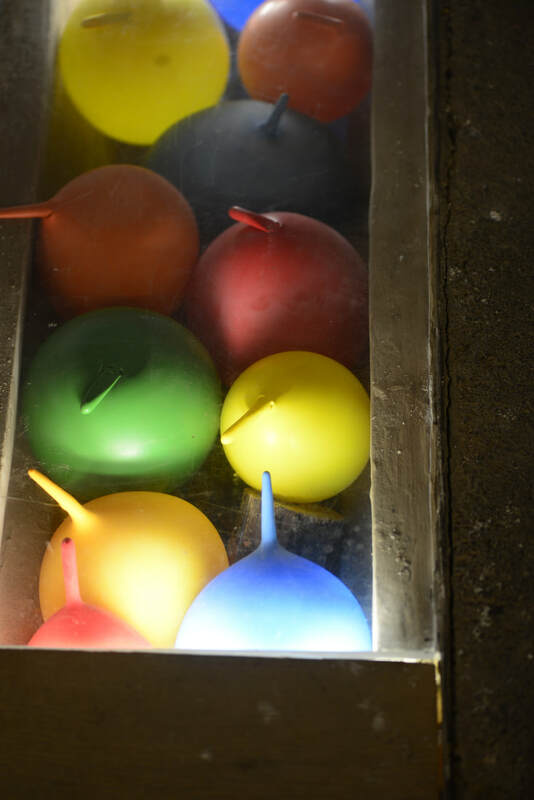 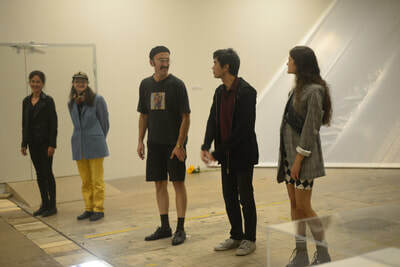 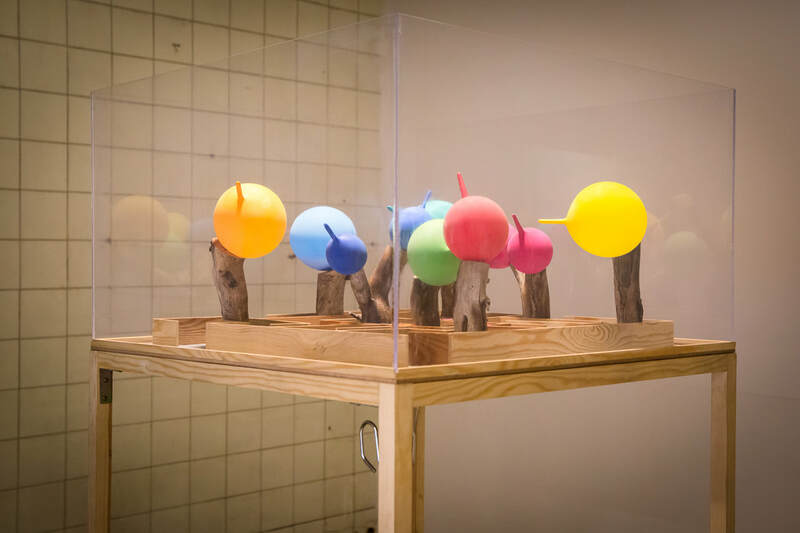 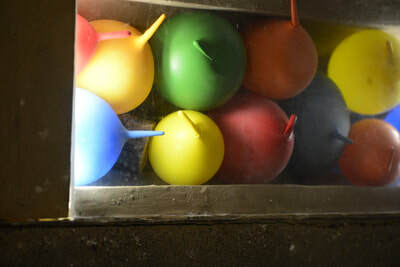 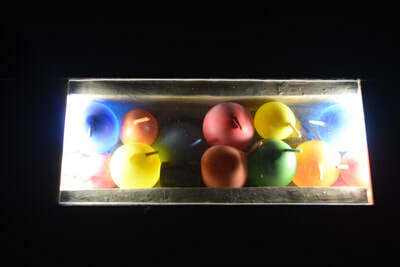 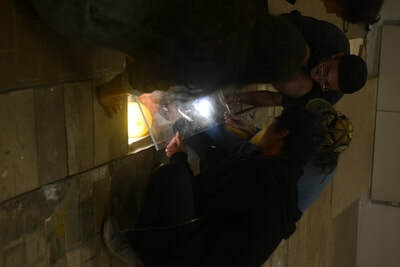 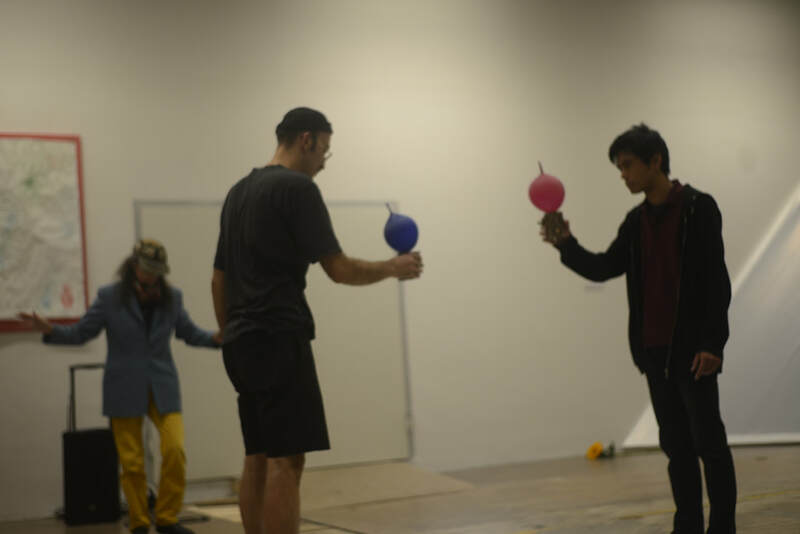 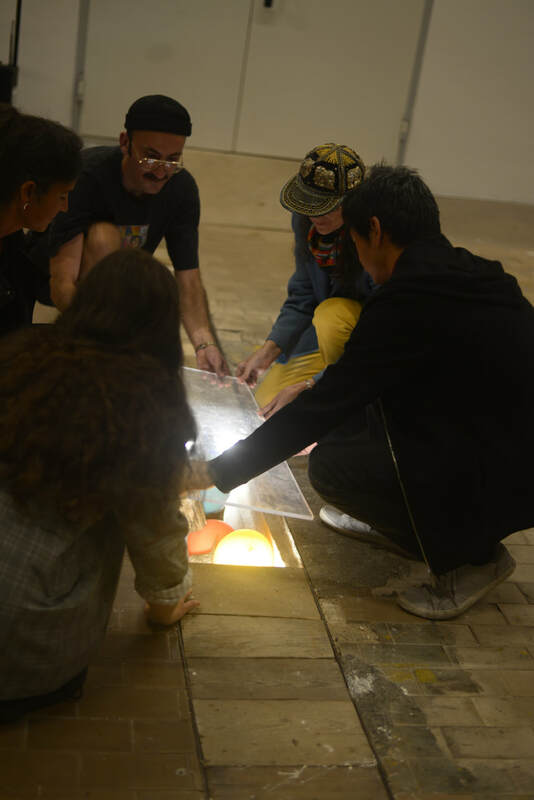 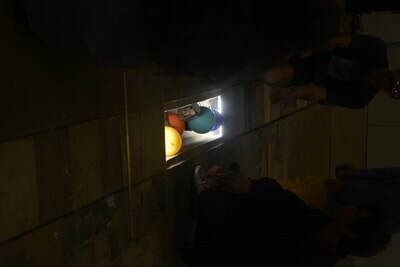 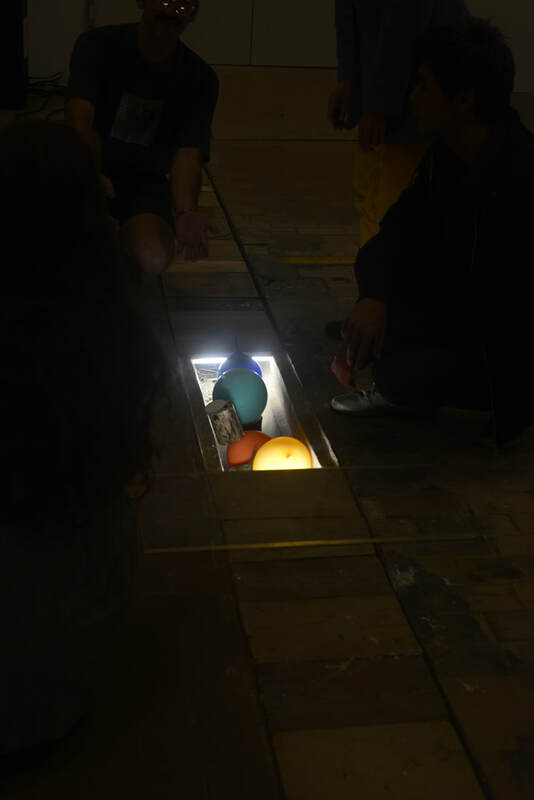 At the end of the show all meet in the center together and add the baloonies in a plexiglass-box based in an old outlet hole in the ground.